Thanks to all of our readers, sponsors, writers, and article contributors for making 2015 a great year. We wish all of you a healthy, happy, and prosperous 2016! Coming next two issues ... Best of 2015. An engineering team from 3D Systems has successfully outfitted Derby, a Husky mix dog, with 3D-printed prosthetics, allowing him to run down the street for the first time ever. Derby was born with a congenital deformity characterized by small forearms and no front paws. A new cardiac pacemaker based on an automatic wristwatch and powered by heart motion was presented at the ESC Congress 2014 in September by Adrian Zurbuchen from Switzerland. The prototype device does not require battery replacement. Using 3D printing and novel semiconductors, researchers at the Department of Energy's Oak Ridge National Laboratory have created a power inverter that could make electric vehicles lighter, more powerful, and more efficient. Alcoa has produced the world's largest single-piece forged aluminum hull for combat vehicles to improve troop protection as part of a joint Alcoa-US Army initiative launched last year. Based on early modeling and simulation, single-piece underbody structures could provide two times better protection against blasts than traditional hulls. 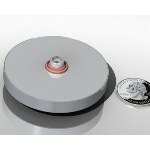 New Scale Technologies has created a miniature rotary actuator module (M3-R) with torque of 0.17 Nm and speeds of more than 400 degrees per second in a compact, 60-mm-diameter by 8-mm-thick design. Resulting from the successful completion of a Phase 1 SBIR project for the U.S. Navy, the non-inductive rotary actuator module delivers higher power output in a smaller footprint than electromagnetic pancake motors or other piezoelectric actuators. Applications include guided munitions and missile systems, MRI-compatible medical devices, unmanned aerial vehicle (UAV) controls, gimbal systems, and computer equipment. Living hinges are often used to produce a container and its lid as a single molded part. 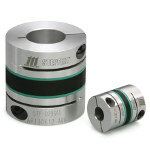 If properly designed, they can open and close thousands of times without ever losing strength or flexibility. Proto Labs' Gus Breiland, Customer Service Engineering Manager, provides valuable tips on designing these (sometimes thin and fragile) parts. Applimotion's Frameless Direct Drive motor kits have been used in custom direct-drive motors for more than 15 years in automation systems, robotics, semiconductor equipment, medical devices, and communication systems. The ULT, UTH, and UTS motor kits can be integrated into an assembly with high-resolution encoders and precision bearings. Some assemblies even include harmonic-drive gearing systems. 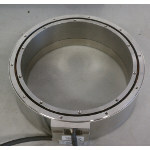 Custom assemblies can range from 8-mm to 600-mm diameters and torque from .1 to 1,000 NM with unique through-holes, mechanical features, and custom cabling. Texas Instruments' wireless haptic development kit enables easy tactile feedback prototyping for eccentric rotating mass (ERM) motor and linear resonant actuator (LRA) haptic effects in a wide range of applications. 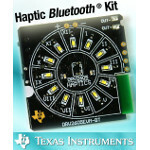 Using Bluetooth low energy (BLE) and a free iOS app, the Haptic Bluetooth Kit (DRV2605EVM-BT) enables designers to create haptic sequences and LED patterns for tactile feedback, notifications, and alerts from a pre-licensed library of more than 100 distinct haptic effects, eliminating wires and the need to design haptic waveforms. Noise, excessive vibration, and relative inefficiency are drawbacks of the piston-based internal combustion engines (ICEs) that power today's lawn and garden equipment, such as leaf blowers and lawn trimmers. But now MIT startup LiquidPiston has developed a 4-lb rotary concept that it says is significantly smaller, lighter, and quieter, as well as 20 percent more fuel-efficient than the ICEs used in many such small-engine devices. In the race to find materials of ever-increasing thinness, surface area, and conductivity to make better performing battery electrodes, a lump of clay may have just taken the lead. Materials scientists from Drexel University's College of Engineering invented the clay, which exhibits conductivity on par with that of metals and can be molded into a variety of shapes for easy processing. Mazda and Mitsubishi together have developed a new bio-based engineering plastic that can be used for both interior and exterior design parts for automobiles. The deep hue and smooth, mirror-like finish of the surface make the newly developed plastic suitable for external vehicle parts with a high design factor. It's an oldie but a goodie. Six-ft 5-in. 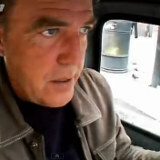 Jeremy Clarkson drives the Peel P50, the world's smallest production car, to work -- and around work -- at the BBC. Yup, the three-wheeler with a moped engine even fits in the elevator. Looking to fabricate your own 1:1-scale, really large prototype parts? Stratasys has you covered. Unveiled at Euromold a couple years ago, the company's Objet1000 system features a climb-aboard-size build tray (39.3 in. x 31.4 in. x 19.6 in.) and is able to print up to 14 different material properties within a single model. Wow. Fourteen in one model! 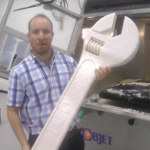 It can also handle big jobs that you could only dream about in the past, like the world's largest 3D-printed wrench, which Objet's Sam Green says took a few days to print.